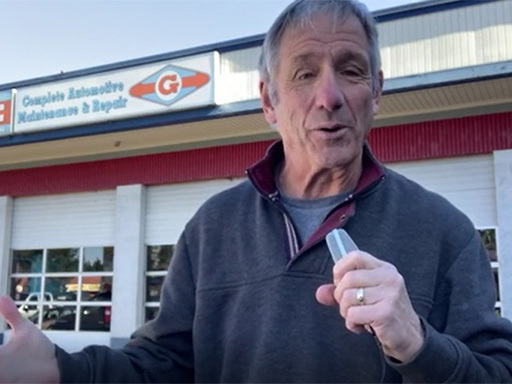 Welcome to The Garage in Renton, your one-stop shop for all of your automotive repair and service needs in the Renton, WA area since 2015 and counting. At our family owned and operated auto repair shop, we specialize in Asian, Domestic, and European vehicles and work on most makes and models. We can handle any repair or service that your vehicle may need, from oil changes to transmission repairs and everything in between! We staff highly experienced and trained ASE Certified technicians. We provide honest and professional repairs and stand behind our work with a 2-year/24,000-mile warranty on repairs. Our shop has all of the latest tools and technology to properly handle your vehicle, including computer diagnostic equipment, fluid transfer, and flushing equipment, A/C service equipment, EVAP system test equipment, and more. We also specialize in maintenance and mileage services for late model vehicles. Our customers always come first. Our shop is a neat and modern repair facility with a clean waiting room complete with complimentary amenities, including free Wi-Fi, coffee, and water. We also offer rental cars for larger repairs. For complete automotive maintenance and repair, bring your vehicle into the experts at The Garage in Renton in Renton, WA. Give us a call or request an appointment today. We look forward to meeting you soon! "I recommend this shop wholeheartedly! My car was breaking down on my an hour from home with 3 kids in the car on my birthday and this is the 3rd shop I limped my Honda Odyssey to and received help. The amazing tech diagnosed & fixed my issue (spark plug wasn't connected properly) quickly and had us back on the road to the zoo. Seriously saved my birthday and I wish I could somehow repay them. >3 >3"
"We've got two cars and two VW's, if you have a VW you may know why I separate the two. Anyways these guy are the best, they fix stuff on time, they tell you what needs to be done, what should be done and what can be done. If you have a budget they understand and work with you to get what you need done. If there is room they do a little of what ever else they can, until next time. I would recommend them to anyone without hesitation." I have been a customer of this autoshop since before they changed to The Garage and I'm happy to experience the same great service I've grown to expect. They offer friendly service while being honest about needed repairs and better than fair on prices. I've made the mistake of trying to find an autoshop closer to my home but their amazing customer service makes the drive to their shop worth the trip. We've had our car worked on several times here. The staff is honest and friendly. This past week, they diagnosed our car (a computer issue), but since they were unable to repair it, they didn't charge us a cent. They seem to really care about helping customers. 5 star review by April P.
5 star review by PAT J.